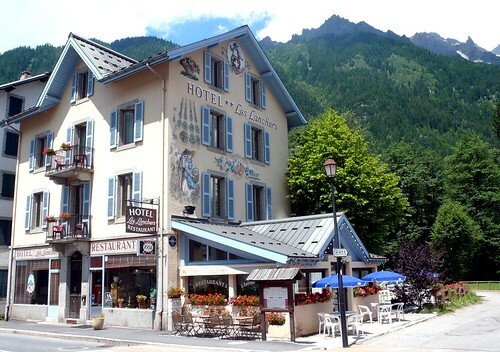 Les Lanchers is a cheerful and relaxed place on the main street of Les Praz, just a stone’s throw from the lift. Outside, it has lovely traditional painted walls with flowers. The rooms are pretty, modern and good value and the restaurant does nice traditional food. The bar is a laid-back and friendly, ideal for a drink after you come down from Flegere. They also have a large screen satellite TV corner so it’s a useful local spot for watching sport – the TV isn’t in the main bit of the bar so it’s not too intrusive. Nice cocktails, good local beers and a welcoming atmosphere for everyone.